Don Barrington poses with his camera. 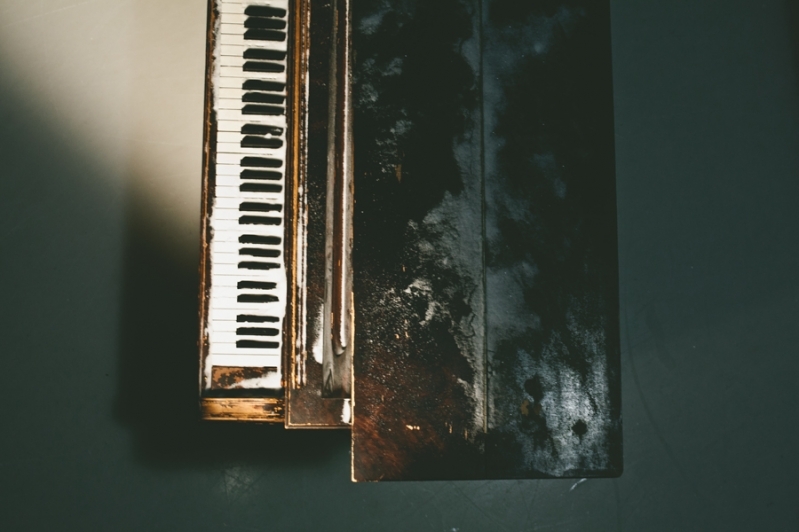 When Don Barrington started The Traveling Piano project he had no idea that photography could cause so many problems with local law enforcement. 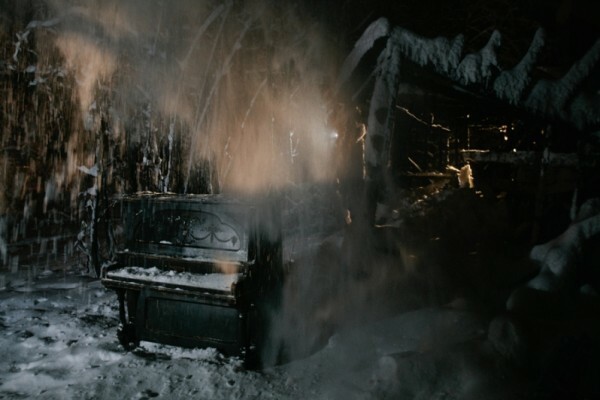 But it’s hard to run very fast with a piano so when the Alaska State Troopers, Fairbanks police and UAF campus security showed up at various shooting locations he told them all the same thing: I’m doing a photography project. 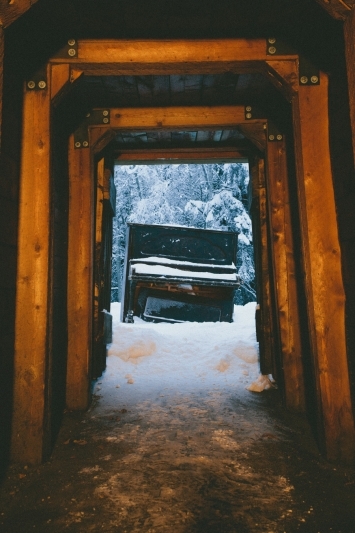 The Traveling Piano was conceived between semesters at UAF as a personal photography challenge and completed over three manic days in January of 2012. After an extensive search he found the perfect piano in a local thrift store and spent more three weeks scouting locations. Like most college students he was long on ambition and short on cash. When he realized he could only afford three days of trailer rental he decided to shoot the entire project in the equivalent of a long weekend. 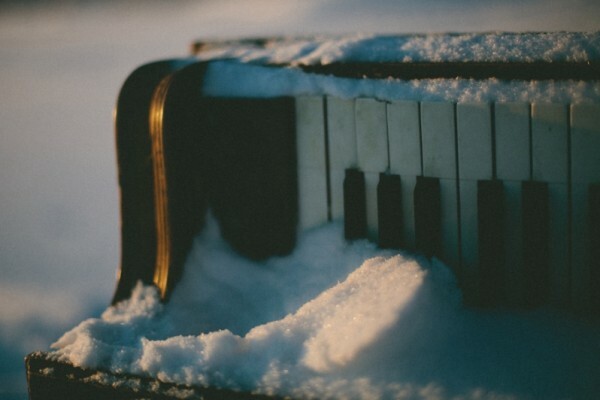 He enlisted the help of a friend in the film department to assist with lighting and recruited other friends and family to move the bulky piano around town in sub-zero conditions. 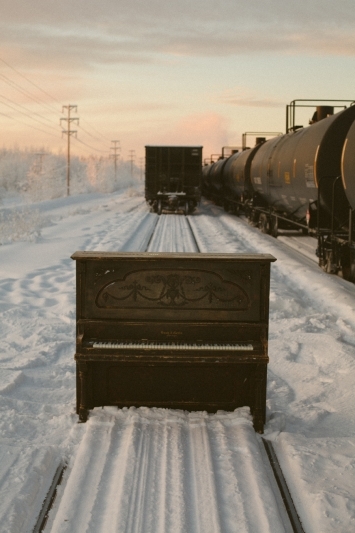 Over the next few days Barrington photographed the piano at eight different locations including the Trans-Alaska Pipeline, the Tanana River, a local bird sanctuary, a set of train tracks, an ice rink at UAF, a sunset hill near campus, a tunnel at Alaskaland and an abandoned cabin destroyed by fire. 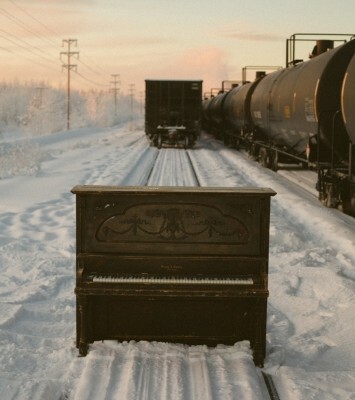 The Pipeline was their first location, but to get the right perspective he had move the piano across a bridge and field from the parking lot at the Fox Visitor’s Center. The piano was much too heavy to carry so the crew devised a “leapfrog method” of sliding it across the snow with a piece of plywood. His favorite photo came the second day when they took the piano to the Tenana River. 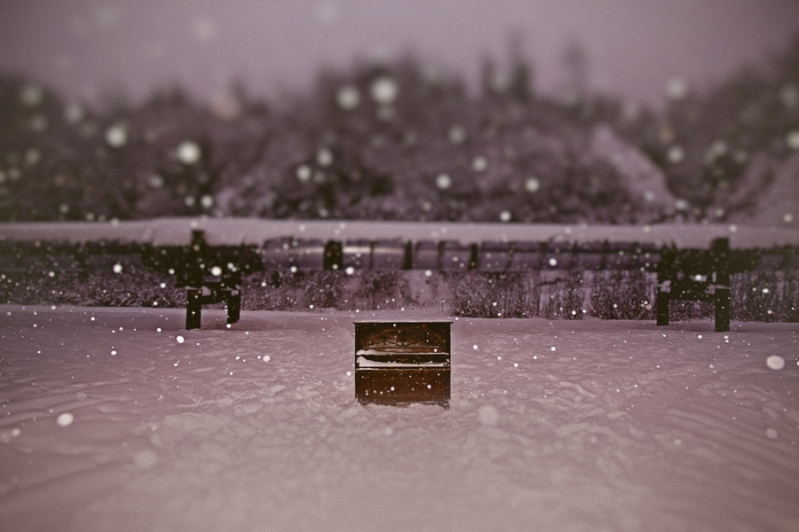 After two hours of moving the piano down to the river and throwing snow around to give it a “natural look” he was losing light fast and still missing the perfect shot when suddenly a dog musher they saw in the parking lot came racing across the ice. 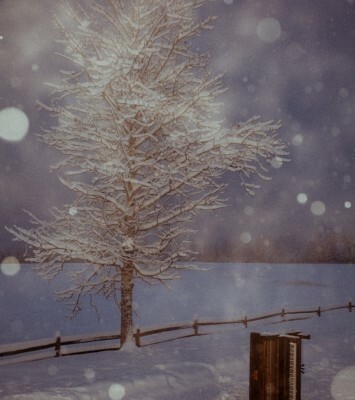 After printing and mounting the photographs into frames he displayed them at a series of events in Fairbanks where he sold all but one of the prints. The project was most recently shown in Anchorage this summer for a First Friday event at Moose A La Mode on Fourth Avenue. 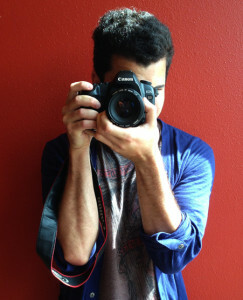 Barrington graduated from UAF with a photojournalism degree in May of 2012 and traveled to Australia to work with a group of wedding photographers he met on a study abroad trip. 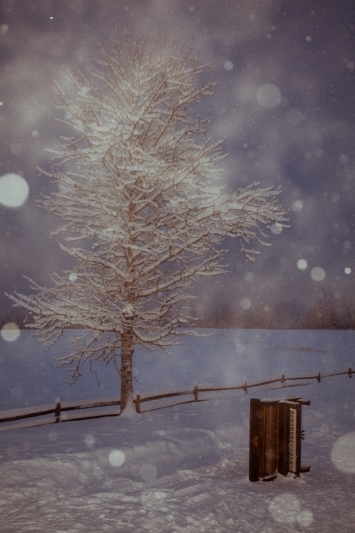 He moved back to Anchorage a year later to start his own photography business specializing in weddings and portraits while continuing to work on personal projects. Layton Lockett has been Adak’s city manager since 2010. When Layton Lockett was in grad school his professors asked him to build spreadsheets, design marketing plans and participate in grueling 48 hour management workshops full of thought experiments like, “If you were stranded in a plane crash, what items would you take to survive?” His classmates made fun of him when he chose Hershey bars and duct tape from the list, but to an Alaskan it just seemed like the best choice. He is now the city manager of Adak and using the same common sense approach to help the city survive a different kind of crash. But in a community where 30% of the annual budget goes to utility costs and their largest employer went bankrupt this year he needs a lot more than duct tape and candy bars. Lockett’s family moved to Alaska in 1998 and he was raised further up the Aleutians in Nelson Lagoon. He graduated from UAA in 2006 with a degree in Business Administration and began working at a non-profit organization as a tax consultant. He heard about the city manager job while his mother was working at as a community health aide at the clinic in Adak and he came to visit for Christmas. He interviewed with the city council and was hired in October 2010. Since then Lockett has been working to restore financial solvency to the troubled city and find creative ways to lower their power costs. Adak’s diesel power plant was built in 1964 and inherited from the Navy when the base closed in 1997. TDX Adak Generating, the local utility, reported that they spent $1.2 million on diesel fuel for the plant in 2012 and charges consumers $1.13 per kilowatt hour for electricity. The State of Alaska’s Power Cost Equalization program subsidizes $.80/kWh, but actual consumer cost is still $.33/kWh compared to about eight cents in Anchorage. 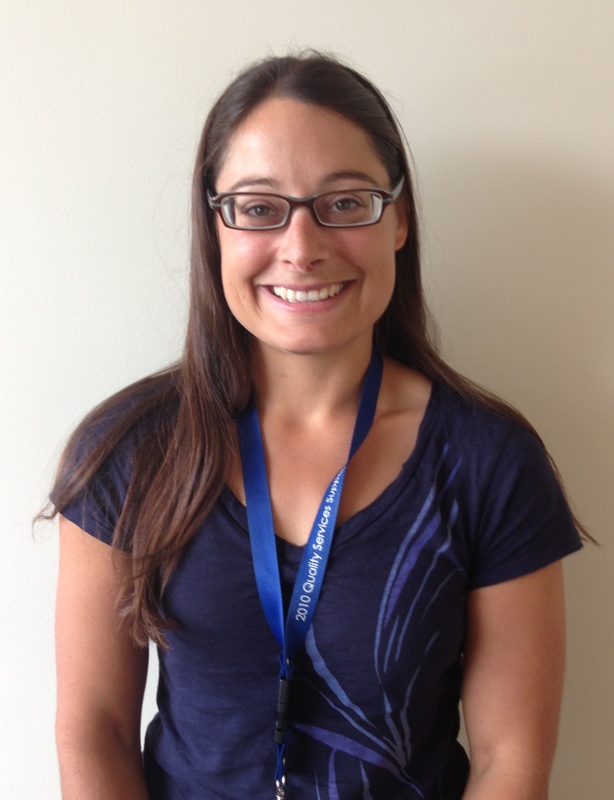 The PCE program paid out $290,000 for Adak residents last year. Lockett began investigating wind and hydroelectric options in 2011 and after receiving several grants for alternative energy studies he hired an engineering firm this year to bid on the projects. Beyond the dam upgrades and wind turbine installation, Adak would also need to modernize their power lines and distribution infrastructure to interface with alternative energy sources. 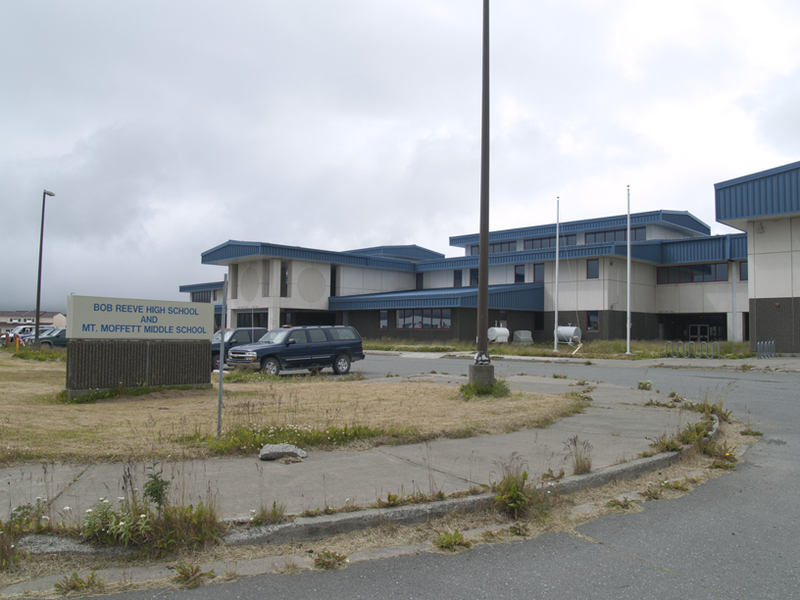 Adak’s public offices, school and health clinic are housed in one building to conserve utilities. 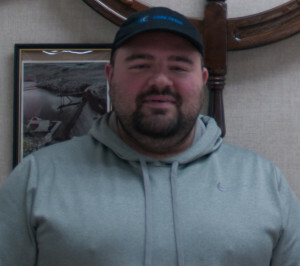 While balancing the books and juggling electric bills he received yet another piece of bad news: Icicle Seafoods was closing the fish plant in Adak after only a year and a half of operation. When the fish plant went up for public auction the city began to worry that it would be purchased by scrappers who would disassemble the facility and destroy any chance of attracting a new operator. Without any other industries, Adak’s financial future was at stake and in June the city purchased the plant for $1.8 million. The purchase required shaking some city couch cushions to find enough cash, but the gamble paid off. In October Adak sold the plant to a newly formed company called Adak Cod Cooperative LLC and hopes they will open in 2014. Despite holding the city together with duct tape and riding a roller coaster of profit and loss, Lockett says he has learned a lot from the job. Adak will likely be his last stop on the Aleutians and he plans to move back to Anchorage someday, but he is grateful for all his experiences. 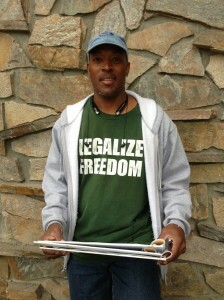 Arenza Thigpen Jr. prepares to collect signatures outside a local supermarket. 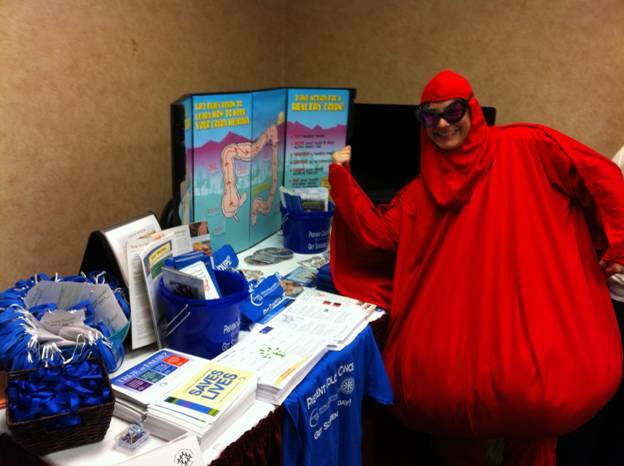 Arenza Thigpen Jr. is a Direct Democracy Lobbyist. 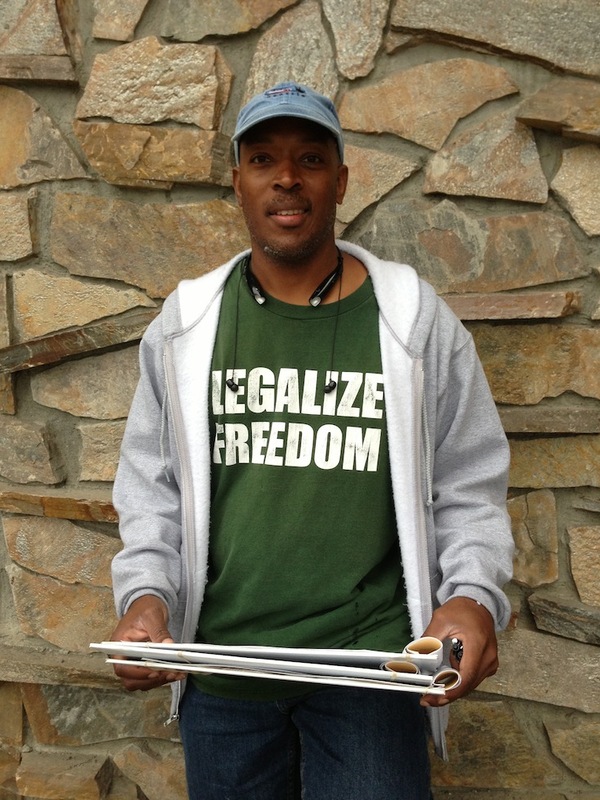 Most people would call him a petitioner or signature gatherer, but after years of working issues and collecting autographs for ballot initiatives he developed a new title to better describe his role in the political process. He openly boasts that he has registered more people to vote than anyone else in the State of Alaska and estimates that his all-time record was registering 250 people in one day. He has personally recruited thousands of new voters and worked tirelessly to educate the public on political issues. He is so passionate about this responsibility that last year he founded a non-profit organization called the International League of Signature Gatherers. He conducts regular meetings to promote education, discuss developments in the industry and ensure that his members are being treated fairly. Thigpen was born in Tuskegee, Alabama, but dreamed of moving to Alaska since he was a teenager. 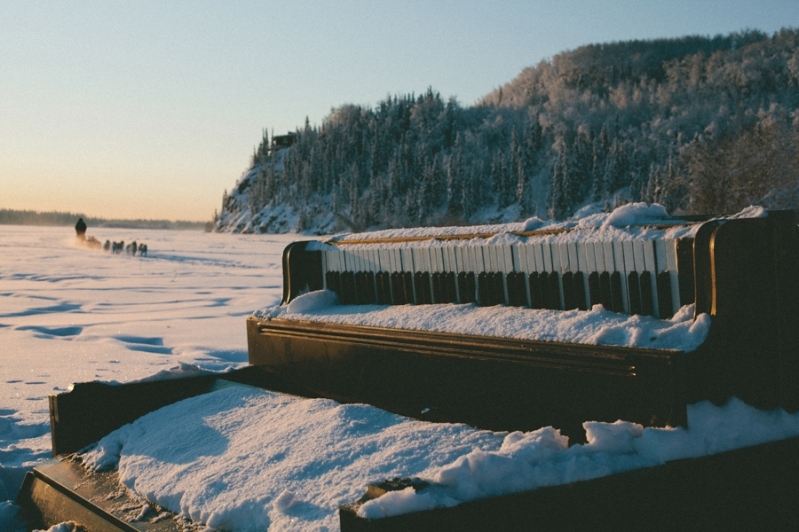 By the age of 22 he saved enough money to move and has been living in Anchorage for the past twenty years. His career as a DDL began in early 2000 when he become a Registrar and started working petitions. He has traveled all over the country working issues from Florida to California, but always maintained residency in Alaska. His proudest moment as a petitioner was helping to collect enough signatures to require a 2007 vote on the same day airborne shooting ban aimed at strengthening regulations on aerial hunting of wolves and grizzly bears. Thigpen is currently working a petition to raise the minimum wage in Alaska from $8.75 to $9.75 an hour. Rod Perry with his malamute Phoenix. At the northeast corner of 4th Avenue & E Street in downtown Anchorage a sprawling homemade canopy of polished spruce beams and heavy canvas crowds the busy sidewalk from June until August. 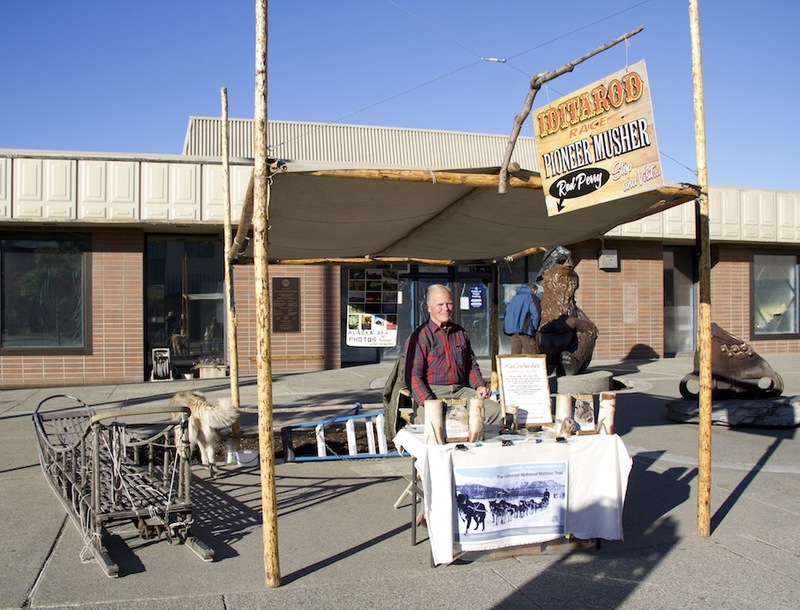 A brightly lettered sign above the canopy encourages visitors to stop and meet Iditarod musher Rod Perry, an adventurous author who ran the first Iditarod in 1973. For the past five years he has spent his summers serving as Anchorage’s self-appointed Iditarod ambassador. He greets each visitor with a friendly smile as they examine the books spread between carefully balanced birch logs. Perry describes himself as a “hopeless romantic and gold rush era junkie”. He moved to Alaska fifty years ago to make movies and worked his way across the state as an oil worker, commercial fisherman, hunting guide and game biologist. His first dog team was purchased in the early 1970s for a film called “Sourdough” about an old time Alaskan trapper battling the encroachment of modern civilization and he quickly fell in love with mushing. Perry proved himself among the invincible and placed 17th in the first race after 30 harrowing days on the trail. He tried again in 1974 and shaved four days from his record to finish 14th. His final attempt came in 1977 when he placed 19th with a 17 day finish. He stopped mushing in the late 1980s as he started a family and moved on to other interests, but never lost his passion for the race or the trail. Rod Perry sits at his booth waiting for visitors to stop by and chat. By 2009 Perry had finished the first volume of his book “Trailbreakers: Pioneering Alaska’s Iditarod” about the rich gold rush history of the trail. 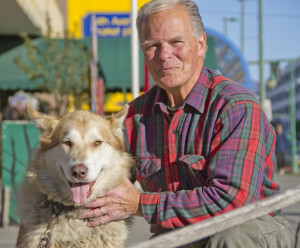 After it was published he approached the Anchorage Downtown Partnership with the idea of an Iditarod attraction open during the summer where he could sell books, talk to tourists and provide additional visitor information for the city. Perry’s passionate perspective on the race and unique ability to engage and entertain strangers promised a perfect solution to this gap in tourist topography and the Downtown Partnership soon offered him a spot next to the log cabin at the Anchorage Visitor Information Center. 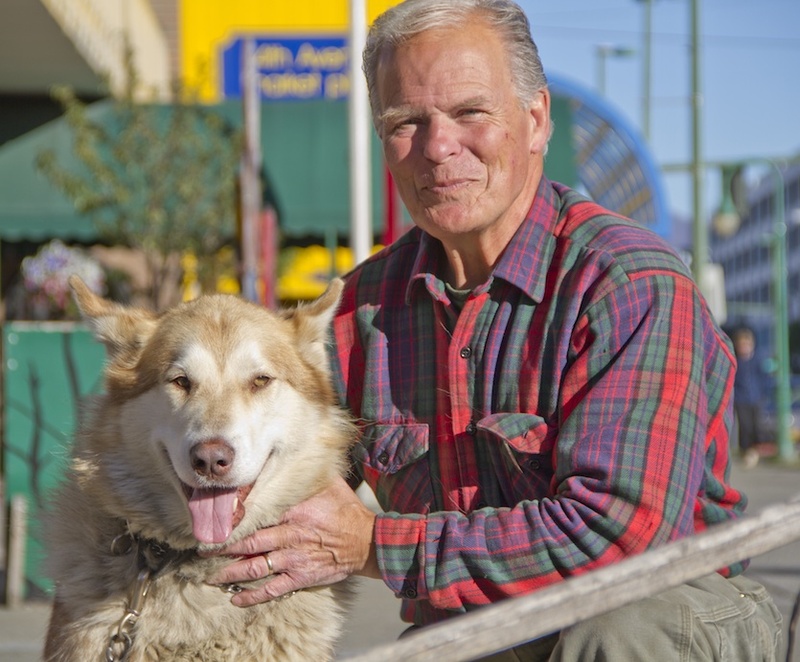 He remained there for one season before moving to his current location in Bear Square and now hundreds of people from all over the world visit the booth on busy days to listen to his colorful stories and pet his hundred pound Malamute named Phoenix. Perry is well-acquainted with the popular appeal of sled dogs. 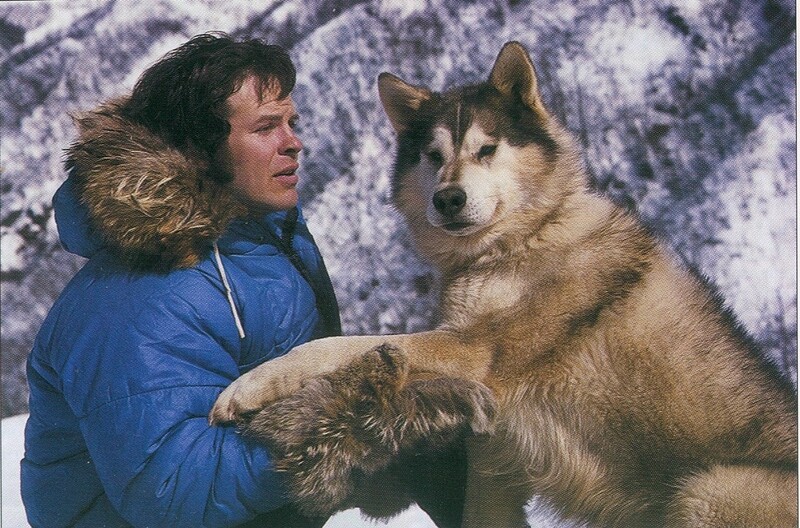 A sturdy husky named Fat Albert led Perry’s dog team to Nome in both 1973 and 1974. The comical and high-spirited lead dog was so well-covered by the media that he became a minor national celebrity. During the 1974 race The National Observer ran stories about him for twelve weeks straight and a 1976 Sports Illustrated article claimed that Fat Albert did for the Iditarod what Babe Ruth did for Yankee Stadium. 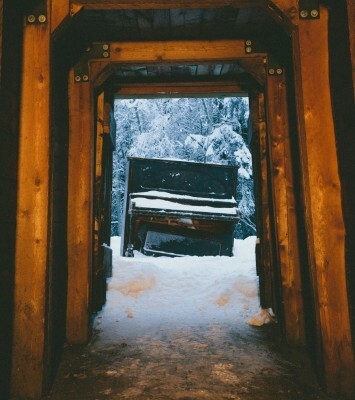 For more information on Rod Perry and his Iditarod books, please visit http://rodperry.com/. In a world where 53% of adults don’t believe they can cook as well as their mothers or grandmothers and 57% of young adults are eating fast food at least once a week, Alex Marqueda is cooking up a plan to defy the odds. The ambitious owner of Ready Made Dinners on Tudor Road is a self-taught chef whose culinary education began with his grandmother in Mexico City and turned into a delicious career. 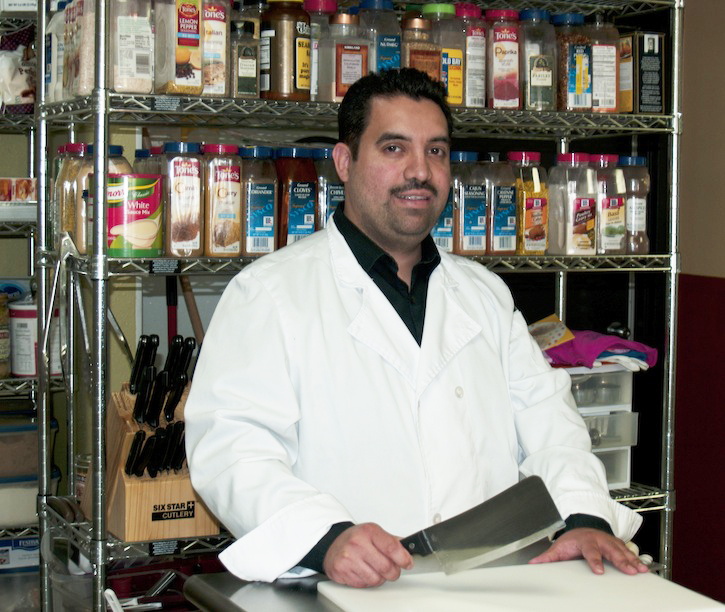 He opened the business earlier this year to provide freshly prepared meals that busy families can pick up and cook at home. But this Anchorage restaurant offers more than the promise of convenience and healthy meals. Cooking skills are so important to Marqueda that he started a program called Kids In the Kitchen where he offers small group classes on basic food preparation and nutrition to kids between the ages of six and eighteen. The classes offer a fun and creative opportunity to experiment with new foods and flavors, but most kids are used to fast food and skeptical of anything that looks unfamiliar. In order to get them interested in the recipes he begins each session with samples of the meal they will make and discussions about the culture it originated in. Marqueda provides a wide variety of ingredients to experiment with and each child has the freedom to build on basic recipes and find out what they like. By the time they’re done cooking the miniature chefs are thrilled to go home and show off their new skills. For more information on Ready Made Meals or Kids In The Kitchen, visit Facebook or readymademeals.com.